If you’ve never traveled solo before, the thought can be a bit intimidating—made worse by the fact that half the people you know (including Mom and Dad) probably think you’re crazy for stepping out on your own. But solo travel can be incredibly rewarding, not just because you’re expanding your personal horizons. You’ll learn more about yourself and the world around you than you ever thought possible when you confront your fears, embrace new experiences, and begin to trust your heart and the decisions you make. So if Latin America stirs your passion and you’re on the brink of your first solo journey, here are some tips and advice from the pros to help you make the most of your adventure. No, you’re not an anomaly. Lots of women enjoy the freedom of solo travel—not to bog you down with statistics, but 59% of travel agents are booking solo leisure travel for their clients, and 73% of those solo trips are booked by women. But you don’t need statistics to know it’s true. If you travel at all, you’ve undoubtedly seen confident, happy women exploring exotic cities, enjoying unusual cuisine at outdoor cafes, even jumping into adventures like dance lessons or sailing excursions. And that’s not to say men aren’t traveling on their own. With the increase in demands and stress at the nine-to-five, getting away on your own is more and more appealing for everyone these days. The point is, wherever you go as a solo traveler, chances are good that you’ll encounter lots of other independent adventurers—and you’ll find it easy to make new friends to share your journey. Choosing the right destination is key. What do you want from your trip? A cultural experience in a thriving foreign capital? A relaxing beach escape with plenty of fun and sun? It’s impossible to choose the right destination if you don’t know why you’re going there. Want to be part of dynamic cultural change? You’ll love the alluring melange of Havana. Is a radical urban renaissance more your style? There’s nothing like the passion and newborn optimism of Medellìn. And if your idea of vacation means a tropical paradise with plenty of sun, sand, and surf, you’re going to love Nicaragua. Get to know the local culture before you go. Most business travelers take time to research the culture of their foreign hosts before they meet with international clients, but people traveling for pleasure tend to overlook this basic step. And that’s a shame, because you don’t want to risk unintentionally insulting or alienating the people you meet because you lack understanding of local etiquette. You can’t always become fluent in the language of a foreign culture, but it’s relatively simple to become culturally fluent. Being in tune with local culture gets you out of the typical tourist bubble and opens up new opportunities for more authentic experiences. Ignorance, on the other hand, can prevent you from getting to know the local people you may meet. 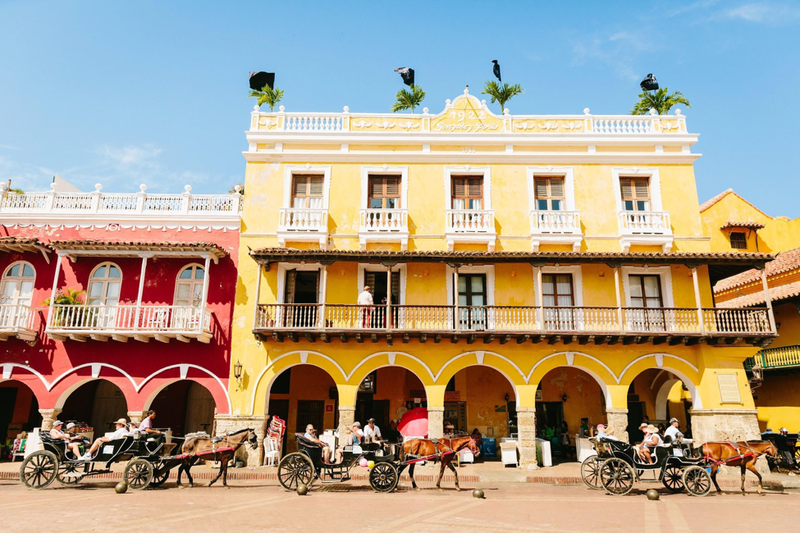 In Colombia, for example, you could chat with street food vendors, or a local graffiti artist, or even strike up a conversation with a cumbia dancer—but without an understanding of local culture, you’d never make a connection. Magic happens when you least expect it, when you’re open to the opportunities of the moment—and a schedule crammed with tours and activities leaves little time for magic. That’s not to say you shouldn’t make a list of a few must-sees and must-dos on your trip, but there’s something beautiful about just winging it once in awhile. The best itinerary is a happy mix of planned events and unstructured time. If you’re visiting Nicaragua, for example, you could plan a day at surf camp followed by a day exploring the beach at Playa Maderas, and spend your next day on a catamaran tour of the Emerald Coast before traveling to Granada to roll traditional Nicaraguan cigars with a local expert. The point is, know what you can’t live without on your trip—but leave plenty of time for the things you didn’t know you couldn’t live without until you discovered them at your destination. Be open to new ways to stay. You may be more accustomed to your favorite chain hotel, but let’s face it, if you’ve stayed in one Marriott, you’ve basically stayed in them all. Think local—look for independent inns and hotels owned by members of the community. You’ll have a more authentic experience and more opportunities to get to know your hosts and fellow travelers. And for a truly immersive experience, consider a homestay. Not only are they extremely budget-friendly, but you’ll pick up useful phrases and lessons in culture you couldn’t possibly get at a hotel. Need a few tips on how to get around town or pointers on where to find the best cup of coffee? You have a built-in support system to help you out. And as an added bonus, you’ll enjoy incredible home-cooked meals as part of the family. In Cuba, the casa particulare, or private homestay, is one of the best ways to have meaningful conversations and develop a person-to-person relationship with a local family. No one wants to think about the possibility of an illness or injury on vacation, but it’s irresponsible not to plan for the unimaginable. Before you travel, contact your health insurance company and get the specifics: Will you be covered out of the country? If so, will you have to pay for your care in cash and get reimbursed when you get home? Are pre-existing conditions covered, or only emergencies? You may also want to consider evacuation insurance, especially if you have any chronic conditions that could flare up unexpectedly, or are on an adventure trip where an accident is more likely. These policies can be extremely expensive, but many major credit cards do offer benefits for evacuation and emergency care in the event of an accident. Travel insurance—a blanket policy that covers trip cancellation, travel interruption, baggage protection, and emergency medical insurance—is usually an affordable alternative and covers all your bases. If you are working with a travel provider, ask about their preferred insurance vendors; you may get a better deal than looking on your own. Common sense is your first defense when it comes to staying safe. It’s natural to think about personal safety when you’re traveling solo, but staying safe in a foreign country isn’t much different than staying safe in your city at home. Don’t keep your smartphone or other gadgets out in the open unless you are actually using them. Keep your valuables hidden. Stay in well populated areas at night and avoid walking back to your hotel alone—spring for a taxi. Avoid drinking too much if you’re out on your own. Dress like a local as much as possible. If you blend in, you’re not easily identified as a tourist and therefore, an easy mark. Know how to ask for help in the local language, and don’t be afraid to ask a friendly face for assistance if you have a problem. Day tours are a great way to see off-the-beaten-path parts of a city without putting yourself in an unsafe situation. Make sure someone back home knows your travel plans. In the end, always trust your instincts. If something feels not quite right, take steps to get out of the situation. Gut instinct is your best friend as a solo traveler. Pack what you need, but don’t overpack. We’ve all been there—who doesn’t want to have just the right outfit for every possibility on vacation? But bringing all that stuff can really mess with your travel joie de vivre. And if you’re on your own, you’re going to have to hustle all your stuff around by yourself; who wants that hassle? Make a list, wait a week, and then revisit it—and edit as needed. Giving yourself a week to think helps you really focus and pare down all those “iffy” outfit decisions. If you don’t absolutely love it, don’t bring it. And a list helps you remember all your essentials; who wants to get to the beach in Nicaragua and realize you forgot your favorite hat or cover-up? Pick a general color scheme and go for mix-and-match. Black and white pieces with one or two accent colors is a great go-to that suits just about any occasion. Look for pieces you can layer and reuse in several different outfit combinations. You really can survive on three pairs of shoes—a comfortable walking pair for everyday sightseeing, a pair of cute sandals or boots, depending on whether you’re going somewhere hot or cold, and something a little dressy for evenings out. Lay out everything you want to pack—and then put half back in your closet. Honestly, how many times do you come home from a trip with half a dozen things still folded neatly, exactly the way you packed them, sad and unworn? Choose the right bag. Know the limits for the airlines you’re using, and if you’re flying between cities in country, keep in mind many regional airlines have much tighter luggage size and weight requirements. Excess baggage fees can blow a hole in budget quicker than you can bat an eye. A wheeled backpack is generally a convenient, functional option. If you need to bring anything bulky, like a jacket or heavy boots, wear it on the plane. Traveling with a group is a great alternative to going it alone. Group travel conjures up images of crowded tour buses, boring guides, and a herd mentality. But if you choose the right travel provider, going with a group is a fantastic way to avoid the potential pitfalls of traveling alone. Think about it: You can turn over all the annoying details of planning a trip (logistics, reservations, even navigating a foreign city) and just enjoy your experience. Who knows, you may even find the perfect travel buddy to share your adventure. Ready to make your travel dreams a reality? Are you dreaming of a solo adventure to Latin America this year? We can help you bring your dreams to life! Connect with us to see how easy it is to plan your perfect trip! 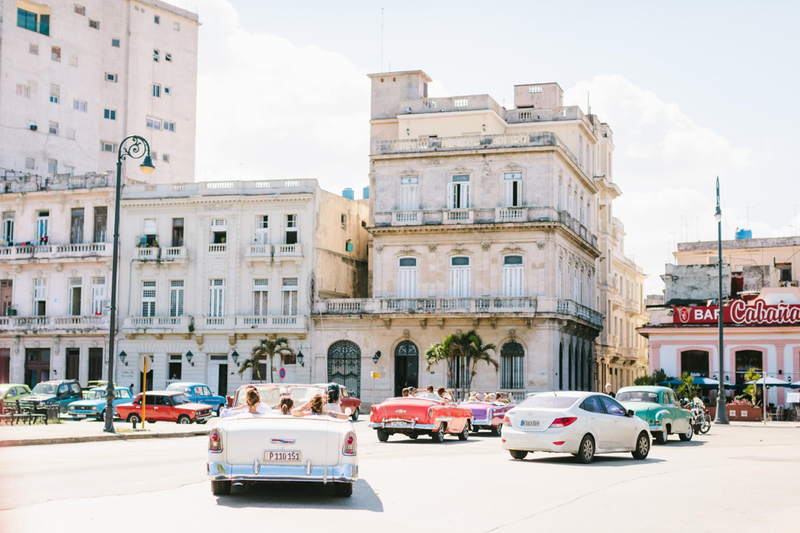 Legal Travel to Cuba Using "Support for the Cuban People"
Get insider travel tips from destination experts (aka how to avoid the Colombia tourist traps), be the first to know about discounts and promotions, and be in the loop about new trip itineraries.